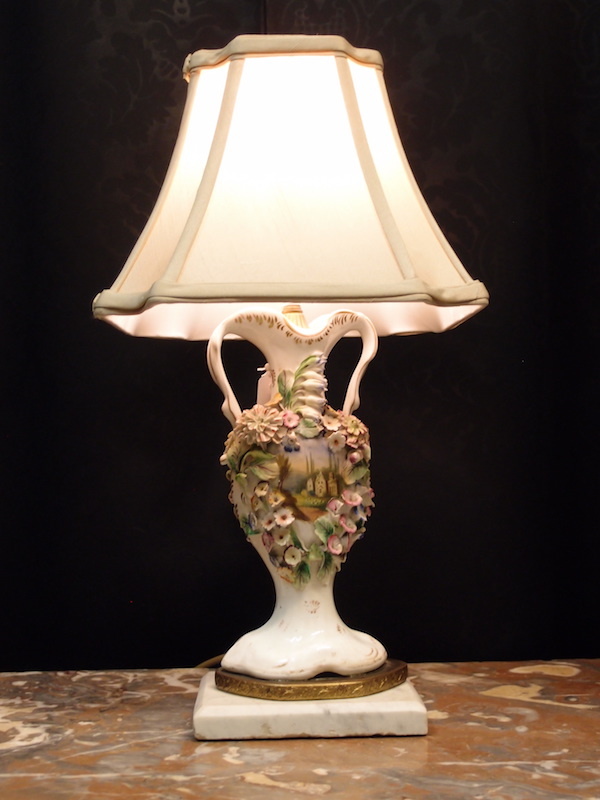 Pair of bedside or table lamps. The 24 cm tall "Coalbrookdale" Georgian porcelain vases are C1830 and are enriched with hand painted landscapes and Han d painted three dimensionally modelled, applied flowers. Some minor chips to flowers, as expected. These were mounted and converted to lamps in the 1930s, but have recently been rewired for us. 48 cm tall including the shades. 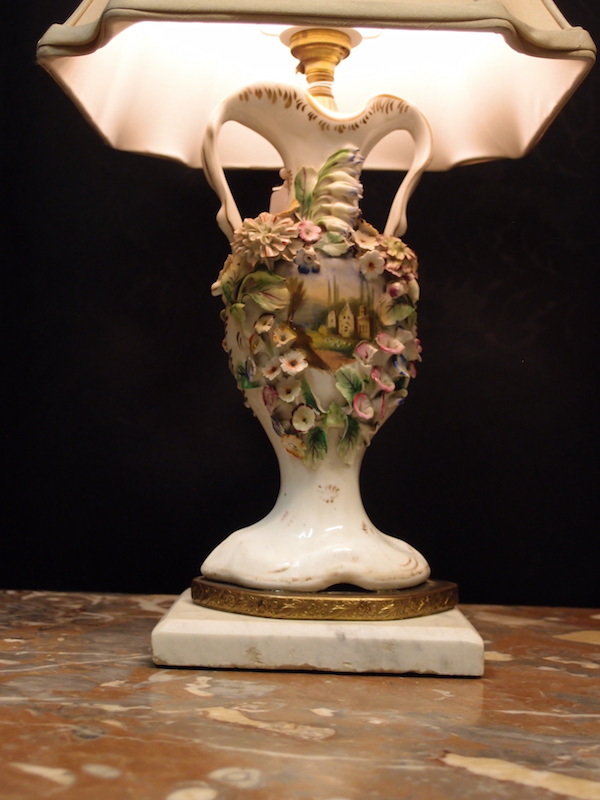 Pair of bedside or table lamps. The 24 cm tall “Coalbrookdale” Georgian porcelain vases are C1830 and are enriched with hand painted landscapes and Han d painted three dimensionally modelled, applied flowers. Some minor chips to flowers, as expected. These were mounted and converted to lamps in the 1930s, but have recently been rewired for us. 48 cm tall including the shades.